We work closely with professionals - Interior Designers and Decorators to integrate our best windows treatments to their projects! If you have clients but struggle to find right people to execute your projects with exceptional quality and creativity, if you cannot transform all your ideas to real things - call us. Our speciality - unique projects with deep customization. 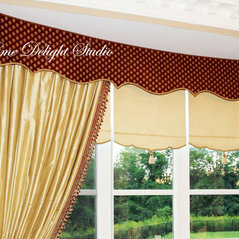 We provide complete Window Treatment solutions for residential customers and businesses: design, manufacturing, installations and warranty support. Our Toronto based workroom is equipped by the latest cutting, sewing and steaming systems from the best world manufacturers. 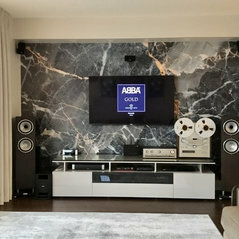 We also make Accent Walls with many different textures - marble, stones, abstract, gold, silver, multicolors and much more... Pill-and-stick material - a special repositionable fabric (not a vinyl). High resolution printing with very realistic look. Ideal for walls that you would like to highlight in your home and for columns in new condo - the only way to make the real malble look. 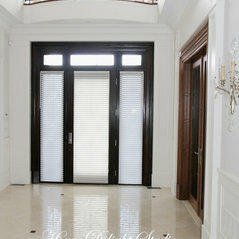 We have large samples, collection 1000+ textures to choose. 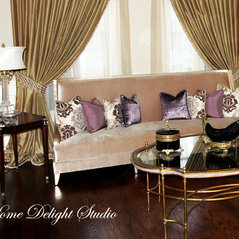 Design service, textures for special orders and installation. 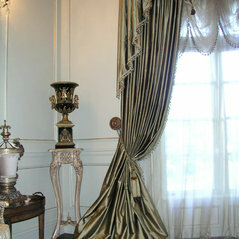 What we do: - Custom Draperies and Curtains; - Custom Shades (roman, austrian, balloons etc. 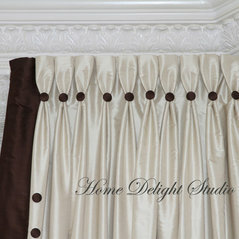 ); - Hunter Douglas and ELITE blinds and shades; - Unique Soft Valances; - Bed Covers and Pillows; - Drapery Hardware customization; - Advanced Hunter Douglas, Forest, Somfy Motorization; - In-Home Design service and Consultations. 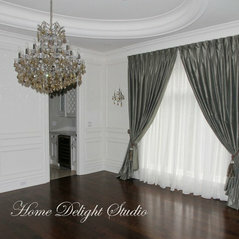 - Accent Walls with different textures: marble, abstract, gold, silver, multicolor etc. As a Certified Priority Dealer we provide full line of Hunter Douglas products, including Shop-in-Home service, Professional installations and repair service. We have Hunter Douglas Certified Professional installers, Hunter Douglas Certified Motorization Specialists and Somfy Certified Motorization Experts. We ensure complete engineering and project management of complex motorized projects and coordinate with your builder, architect, electrician, home automation provider and designer to help manage customer's expectations. Hunter Douglas Certified Professional Dealer(Priority), Hunter Douglas Certified Designer, Hunter Douglas Professional Installer, Hunter Douglas Certified Motorization Specialist, Somfy Expert. 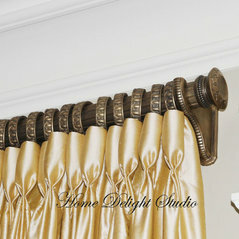 Amazing Drapery Hardware wood collections! 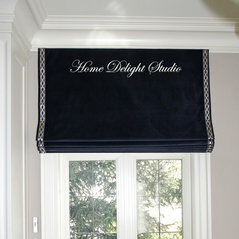 Kommentiert: installing roman shades on ceiling sloped bedroom windowCall to Dofix No Sew, USA Phone: +1-989-687-7999 and ask about dealers in your area. 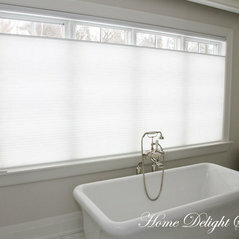 Kommentiert: Blinds or shadesWe make Roman Shades up to 118" wide, some pictures - on our page and couple of new below.